Second Jen | TV, eh? Everything about Second Jen, eh? Samantha Wan is a Toronto-based actor and filmmaker. Samantha found her passion for film and acting at a young age in high school. From there, she was accepted into the country’s top theatre school, the National Theatre School of Canada, which boasts a number of notable of alumni including award-winning actress Sandra Oh. Samantha Wan recently received a 2019 Canadian Screen Award nomination in the category of Best Comedy Series for her sitcom Second Jen. Second Jen is a buddy comedy about two second-generation millennials making it on their own in the big city. Season 1 aired on the major Canadian network Citytv and Season 2 was later picked up by OMNI Television. The show was produced by Don Ferguson Productions, the production company famously known for creating the Royal Canadian Air Farce. Samantha developed the series with actress and screenwriter Amanda Joy. The two became the youngest televisions creators in Canada. Samantha is also known for her role as Zoe Chow in the comedy-drama television series Private Eyes starring alongside Jason Priestley and Cindy Sampson. Etobicoke-born-and-raised actor, writer and producer Lovell Adams-Gray fits right in with the multicultural cast of OMNI Television’s Second Jen. Continue reading. “Our style of comedy can be a little larger than life; however, the kernels of all the stories are true. From the wall squirrels to growing pains of friendship, Amanda and I have pulled from events in our life or our friends’ lives.” Continue reading. Leaving home is never easy, but one Canadian series is showing that the journey into adulthood can be just as fun and messy as it is stressful and overwhelming. Continue reading. “While I had done comedy, I think being a second-generation Filipino, (or) being second-generation Chinese, or being second-generation any immigrant group, there are things that are common with all of us, whether you’re male or female, gay or straight.” Continue reading. It’s been almost two years, but Second Jen‘s second season is finally here. 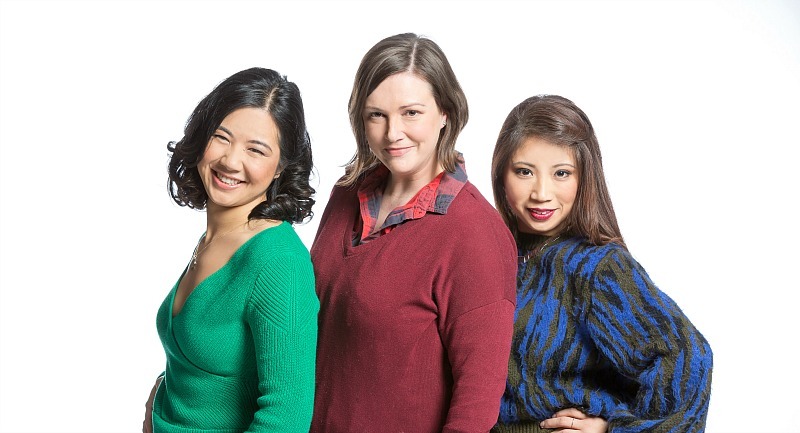 The sitcom, co-created by Amanda Joy and Samantha Wan, returns Saturday at 8:30 p.m. ET/PT on Omni Television, once again telling the hilarious and heartfelt experiences of best friends Jennifer “Mo” Monteloyola (Joy) and Jennifer “Jen” Wu (Wan), two second-generation millennials who observe, reflect and react to the world around them. Things have changed for Season 2 both in front of an behind the camera. There are new faces in Jen’s new friend, Marcus, played by Lovell Adams-Grey (Slasher); Mo’s new potential love interest, Diego (Oscar Moreno); and a whack of guest stars from Canada’s comedy elite in Mark Andrada, Jim Annan, Craig Lauzon, Patrice Goodman, Pat Thornton and Gary Rideout Jr. Second Jen‘s creative engine is run by showrunner and head writer Carly Heffernan, writer and story editor Joy and story editor and co-director Wan. We spoke to Heffernan, Joy and Wan during a break in filming earlier this year. How did this second season come together? Amanda Joy: We work pretty quickly, but from the [Season 2 renewal] announcement to when we were shooting we had already done most of the writing. It just came down to polishing it, and Carly and I, we were working with the network and Sam and just trying to bring out the best elements of the scripts, and choose the best stories, and just make sure that the ones we were making were the most solid and strongest ones. Carly, how did you end up being involved with the show this season? Carly Heffernan: I was involved with the first season in a writing capacity as well as an acting capacity, so then I was brought back on for Season 2 in just a bit of an elevated writing capacity as head writer, which was great. I had a really nice time working with Sam and Amanda before, and I love getting into a writer’s room with them and hearing the stories that they want to share, and just being a part of figuring out how we’re going to tell those stories. AJ: It’s actually amazing because Carly had worked with us in different capacities before, and then it just, there was an opening and she really felt like the right person to do the job, and everyone was in agreement with that. Samantha Wan: Yeah, it’s exciting. It’s a full female writing room, and full female heads right now. CH: I think absolutely when you’re telling a female-centric story. It definitely helps to come from a female P.O.V. Not saying that someone of a different gender couldn’t tell the story, but it’s definitely made it easier. There are a lot of situations that Sam and Amanda shared that I could just relate to from my own past experiences as a woman. The girls have moved into a new apartment, you’ve got new stuff going on in their lives. AJ: When we were deciding which stories would make it into the second season and which ones we were really going to work, we decided that we wanted to bring it back to the girls, and make sure that that central relationship was key, and strong in every single story, even when they are separate from each other. It needed to really be about them and how they grow, and how they grow together. The boys who were in the original first season are not in this particular season, but in doing that we have the opportunity to show Jen and Mo outside of their relationships with these two men, and to really make a female-centric story and a friendship-centric story. SW: In Season 1 I’d say there was a lot of focus on the girls and how they related to their family, and moving away from them. And in Season 2 it’s actually a lot more like ‘OK, now we’ve moved away from our family, how do we figure out our life on our own?’ Also, a huge thing I think this season, too, is seeing when you have a best friend, how you both start changing and you don’t change the same way. So Mo’s getting a lot of success right now, and Jen’s doing a lot of introspection right now, and that puts them in a very different place. In almost opposite places where they used to be this season. AJ: There’s a lot of irony in that, too, because when you look at the two girls and you sort of predict who is going to be having more success, who is going to really be moving forward with their life, you think it is going to be Jen. And here we see that maybe life’s not as cut and dry as they made it seem in school. What can you say about your cast? AJ: In adding new characters and changing up the group a little bit, I’ve found that the dynamic from the ensemble is really speaking to the second generation experience. I believe every single lead now, in our show, is a person of colour. And you also draw on your background with sketch because you’ve got a lot of talent like Pat Thornton coming in and, can you talk a little bit about some of the guest people you’ve got involved in Season 2? CH: Absolutely. We have some fantastic people from the world of comedy. Pat Thornton, who is just a national treasure in terms of hilarity, you know, everyone’s seen him on their TVs for years. He’s amazing. Jim Annan, who’s another staple of the comedy community, has been so funny. Nile Séguin joins us again, who’s a fantastic stand-up from the sketch comedy scene. Sorry, from the stand-up scene. Gary Rideout Jr., Craig Lauzon, Mark Andrada. Yeah, a lot of sketch performers are coming in, which is awesome. Bumping up that comedy. Sam and Amanda do such a great job of providing us with so much heart, and staying really true and real and grounded in the characters that they are, so to have a bit of that sketch flair really ups our comedy value. Let’s talk about some of these adult storylines. Wall squirrels. CH: Oh, man. If you’ve ever had an animal in your house, it’s the worst. I once had a pigeon in my loft in St. Lawrence Market, I was just freaking right out. We love the notion of the girls sort of dealing with maybe their first break-in, which is always scary. It’s always coming down to firsts for these girls. What is it when you go on your first double date with your best friend? You’re tackling some serious subjects like sexism and racism. SW: We have a whole episode on sexual harassment in the workplace, which Amanda wrote and I’m actually directing, well, co-directing with Romeo [Candido], which I think is a very exciting thing. Second Jen airs Saturdays at 8:30 p.m. ET/PT on Omni Television. Images courtesy of Second Jen and Omni Television. Pippin Foster has been on quite the ride during his short time on Killjoys. First introduced last season as a young man with a mouth who can get anything you need from the black market, Pippin has of late become somewhat of a hero. And perhaps even a romantic one at that, if you take into account the goo-goo eyes he and Zeph have been sharing. Now Pip is a fulltime member of Team Awesome Force and we couldn’t be happier. Neither can Atticus Mitchell, the actor who plays Pip with aplomb. We spoke to Mitchell—who has most recently starred in Young Drunk Punk and Second Jen—during a break in filming Season 4 to talk about the character and his music career, which you can follow on Spotify. What’s it been like being part of Killjoys? Atticus Mitchell: It’s been a breeze. There are always trials and tribulations with any project but for me, this has been a very strange, really easy go. I literally live 10 minutes away [from set] so my commute is set. I wake up 15 minutes before I have to be here. Everybody is fantastic, the scripts are always tight. We move fast and as long as we know everything it’s all hunky dory. Pippin made an immediate impact on Dutch, Johnny and D’avin. He’s loud, brash and memorable. How did you get the role? AM: I auditioned and got it. [Laughs.] Pretty much everybody in my age range went for it. With a show like this they’re introducing characters almost daily, so you have friends going out for the same show all the time. This was my first-ever audition for Killjoys and it happened to work out. It was just a guest-star role and then it turned into more. At what point did they pull you aside and tell you this role would be expanded? AM: If it says ‘guest star’ on the audition, that’s what you plan for. There were maybe two weeks of my life that I was dedicated to the series. They wrote another episode that I was in and I was like, ‘Great to be back!’ Then they wrote me into two scenes in the last episode of Season 3, which then turned into—on the morning of my last day—’Hey, are you free the rest of the day?’ I said, ‘Why?’ And they said, ‘Well, we have this ship sequence with a whole bunch of people looking over a monitor and deciding what to do. We’d like you to be in all those scenes.’ I was like, ‘OK, cool, yeah, I’m background.’ ‘No, we’ve written your lines.’ And here we are in Season 4. Do you view Pippin as a hero? AM: I think I saw him as not necessarily a hero, but a good guy. The good guy in their own story. He’s been raised privileged and runs around with a lot of bad people and enjoys his life. Then he got swept up into something that is about way more than him. That has transitioned him into this kind of hero role. If he thinks he’s the good guy in the story then he’s the good guy in the story. What’s it like being part of the Killjoys family? AM: It’s tough coming into a new show as a guest star and trying to find a place where you feel comfortable. It’s rare that a group will open their arms like this group has which is really nice. I’ve been on shows where new people come and go and you don’t really have time to get to know them. Here it’s necessary for everyone to feel welcome. What are you doing when you’re not acting? AM: I’m actually a composer. I make music on my piano. For television and film or just for yourself? AM: That could be a step I take but I’ve literally just started last year. I put out my first album of just seven songs of me playing the piano. That’s what I’m able to focus on outside of this. Second Jen, the groundbreaking original scripted comedy series following the adventures of two second-generation millennials and their friends, returns this summer with an all-new season featuring fan favourites and fresh faces, beginning Saturday, Aug. 4 at 8:30 p.m. ET/PT on OMNI Television (check local listings). Co-created, co-executive produced, and starring Filipino-Chinese-Canadian Amanda Joy as Jennifer “Mo” Monteloyola and Chinese-Canadian Samantha Wan as Jennifer “Jen” Wu, the six-part, 30-minute episode season is inspired by their real-life experiences, as they sort through commitment issues, career challenges, and the awkwardness of dating. Joining Amanda Joy and Samantha Wan as season regulars are Nile Séguin (Alister, The Beaverton), Lily Gao (Karen, Blood and Water), and new cast member Lovell Adams-Gray (Marcus, Slasher). 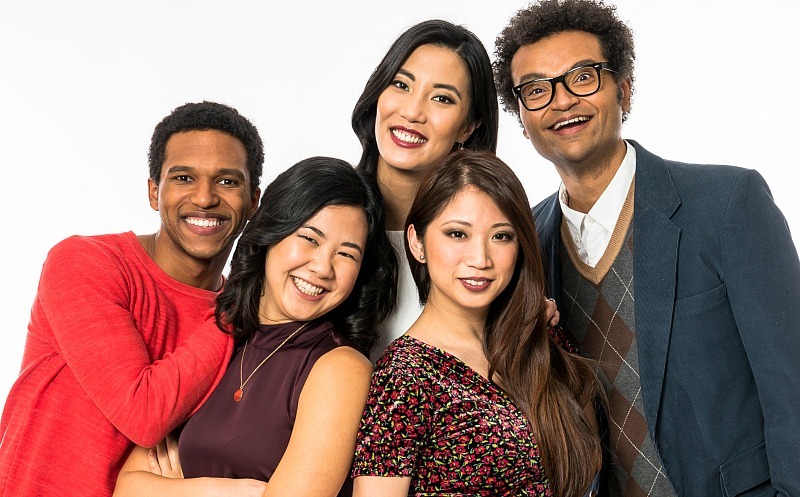 Rounding out the culturally diverse cast are Janet Lo (Bunny, Diary of the Dead), Timothy Lai (Eric, How to Be Indie, Degrassi: The Next Generation), Caroline Mangosing (Maryjun, How to Be Indie), Carly Heffernan (Nurse Redelle, Second City), Patrick Kwok-Choon (Harrison, Star Trek: Discovery, Cardinal), Ho Chow (Mr. Hsu, Bad Blood, The Strain) and new cast member Oscar Moreno (Diego,Shadowlands). Buzz-worthy headliners from Canada’s comedy scene make special guest appearances, including Mark Andrada, Jim Annan, Craig Lauzon, Gary Rideout Jr., Pat Thornton, and comedic actress Patrice Goodman.